I'll be perfectly honest. The frame below is wholly unoriginal. This wasn't an angle that I saw on my own. It's one that I've seen on friends' Instagrams and online. But it's a fun frame... capturing the Main Street Christmas tree star within the center of a Main Street Mickey Mouse garland. And in the colorful glow of early 1900s Americana, it makes for a beautiful harkening to an old-fashioned, classic Christmas. Oh, what a lovely night! 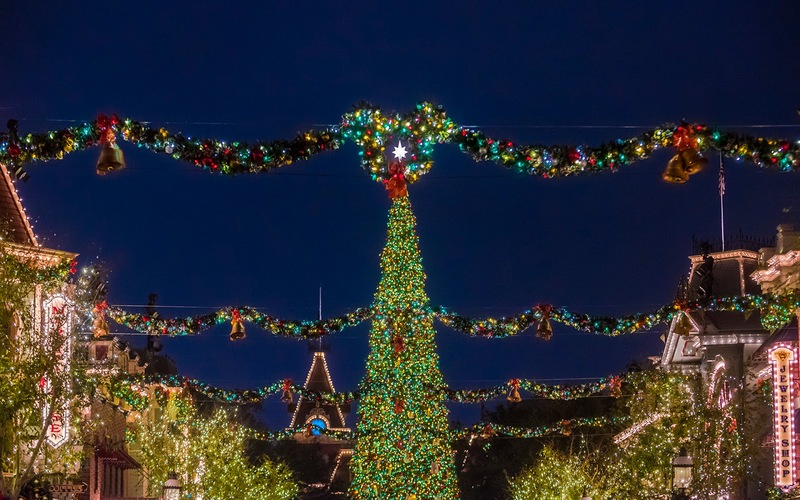 A Christmas tree star is captured in the middle of a Mickey Mouse garland on Main Street.